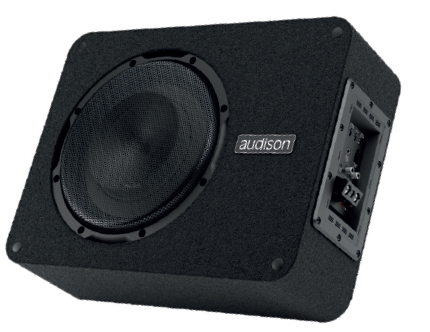 Audison - APBX 10 AS | APBX 10 AS | Subwoofer | Toms-Car-Hifi - Kaufen was Freu(n)de macht! switching power supply, for a performance next to ideal. Box with ultra-low profile (6.22 in. / 158 mm) in air suspension, designed to take full advantage of the performance of the 10-inch APS 10 DL high-impedance driver. The SSP (Sub Smart Plug) terminal block is provided with a Plug&Play connector to be able to disconnect the box easily and safely. Kundenbewertungen für "APBX 10 AS"